You may be surprised just how much Google knows about you. I just want to begin by saying privacy is a personal thing, just like hygiene or tardiness. If you want to keep it private, clean it or keep track of it, it’s your responsibility, no-one else’s. Now, why would I say that? Being a contributor to PC&TA each month means that I, just like our readers, don’t get the opportunity to see what the latest magazine issue coming out is about until it physically hits the shelves. So, it was with great interest that when it arrived this month, I see on the front cover the focus was privacy. Why great interest? Well, not only does the erosion of privacy concern me personally, however, I had just sat down with one of my staff earlier that week to have a discussion around the Connected Home and the potential privacy issues that this unleashes, and it turned into a very eye-opening discussion for him. He’s a middle-aged guy (let’s call him Michael), married with a bunch of kids like me, and tends to keep his personal life pretty much to himself. 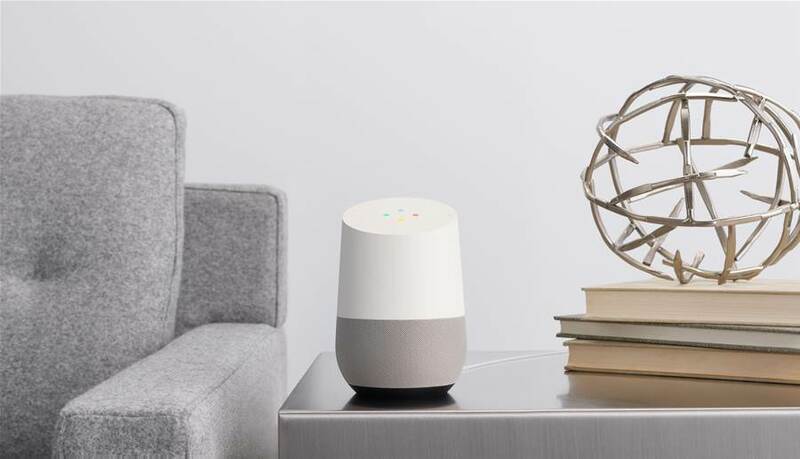 The discussion started around his desire to know more about where the Connected Home is heading, and how this tech will move into businesses. One of the biggest leaps forward in this space over the past couple of years is voice activation, and being a big fan of the latest and great tech, for the past year or two so I’ve been running an Amazon Echo voice-activated assistant in the office (purchased in the US before it launched in Australia), and more recently I purchased both a Google Home and a Home Mini for, you guessed it, home. Most of my kids, as well as my wife and I are now always asking Google questions on the days events, the upcoming weather, some interesting facts on a specific topic, or to translate some words from English into another language. A game of trivia around the dinner table is a lot of fun too (‘ok Google, let’s play a game’). Michael was worried that these conversations, with Alexa and Google ‘listening in’ all the time to all our family conversations could be recorded and potentially hacked or leaked or, as we have just seen happen recently with Facebook, personal data was provided to third parties. So, it was with great concern that after just one or two minutes I had found, using simple Google searches, Michael’s family tree (grandparents, uncles and aunts, parents etc), his favourite hobbies, his phone number, and roughly where he lived, just based off his name. I’m sure with a few more minutes I would have had even more detailed information also. My point with this exercise was to show him that his privacy has already very much been eroded already, and this information is freely available online today, let alone when ‘another’ data breach occurs. Then, as my pièce de résistance, I showed him Google Timeline. For those that haven’t seen this free tool, simply go to www.google.com.au/maps/timeline and log in with your Google account. Obviously, just about everyone has a Google account these days, if you use an Android-based phone, a Gmail account, or use Google Chrome, just to name a few ways you may need one. Log in and be prepared for what you see. Just pick the date you want, and you can see exactly where you were geographically in the world, the location itself (in a store, shop, hotel or just at home), often what you are doing (in a car, a bus or a plane), how long you were there, and how you arrived there. Whilst you need to know your Google account details to access this data, in my view, our privacy was breached a long, long time ago, and, unless you actually read the UELA each time you accept terms of installed apps software and what they can then do, we each allowed it to happen. For me, for the most part, I’m happy asking Google what the French word for “router” is (it’s routeur just FYI) and knowing that somewhere there will be a record of me asking that question. The real question is, are you?